HÀ NỘI — Lai Châu Province late yesterday announced it was culling 117 pigs found to be infected with the African swine fever (ASF) virus, the first incident in the northern mountainous province since the disease flared up in Việt Nam in late February. On March 18, Nguyễn Văn Cận, a farmer in Đông Phong Village, Tam Đường District, contacted the authorities to report his pigs were ill. Samples were sent to Hà Nội for analysis and came back positive for the disease that is bringing devastation to the country’s hog industry. 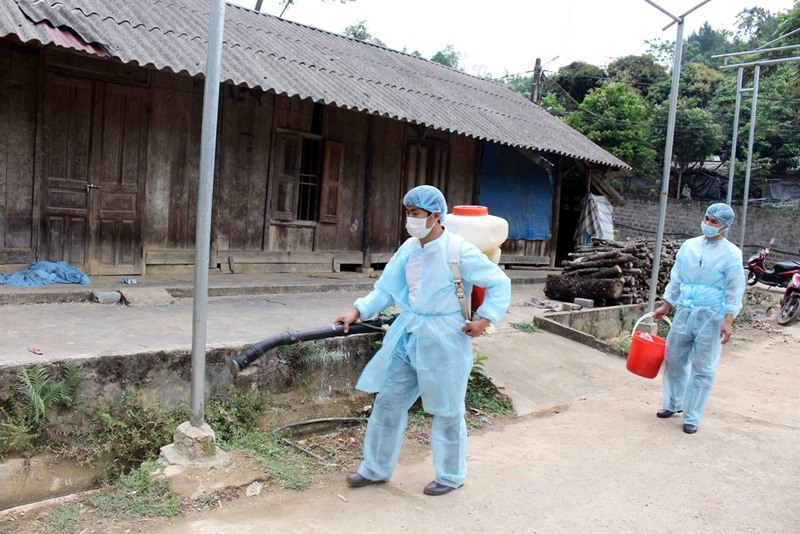 This brought the number of affected localities in the country to 20, following discoveries of infected herds in the central province of Thừa Thiên-Huế and the northern province of Bắc Ninh a few days ago. Nguyễn Văn Long, head of the department’s epidemiology office, said yesterday there was a very high risk the disease would continue to spread. The agriculture ministry’s inspections of ASF-hit localities have identified a number of reasons for the outbreaks, including pig breeders’ and traders’ rush to sell off ill pigs, the ASF virus’ resilience and low regard for hygiene and biosecurity measures among the holders of small farmers. The ministry also attributed the outbreaks to lax adherence to hygiene and biosecurity by health workers tasked with culling the pigs, resulting in exposure to the virus. Yesterday, the UN Food and Agriculture Organisation (FAO) and the World Organisation for Animal Health (OIE) said they had sent a delegation of experts to Việt Nam to assess the situation in the country. The delegation is tasked with advising the agriculture ministry on the best methods to dispose of affected pigs and how to optimise available resources to stop the spread of the ASF virus. It will also propose immediate, short-term and medium-term measures to address outbreaks and work to co-ordinate with Việt Nam’s emergency response and the region’s contingency plan. The delegation recommended Việt Nam declare AFS a national emergency, create zoned areas to prevent the virus from spreading and develop standardised procedures for pig culling and carcass disposal. Việt Nam has an estimated 2.5 million households that raise pigs. “The loss of pigs due to ASF infection and control measures leads to a heavy economic burden on many rural families," Albert T. Lieberg, the FAO representative in Việt Nam, said following meetings last week with Vietnamese authorities.